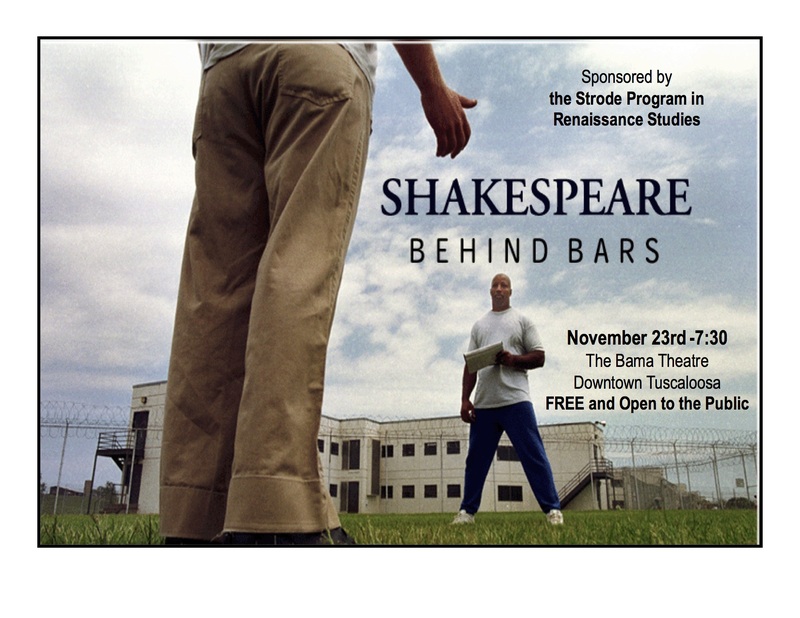 The next Shakespeare Film at the Bama Theatre will be Shakespeare Behind Bars, which was postponed last month due to tornado warnings. Despite its reputation among Shakespeareans, The Bad Sleep Well is not “Kurosawa’s Hamlet.” To clarify, the Japanese film does not merely set the play’s plot against the backdrop of a corrupt corporate culture. Several adaptations of the English play are just that and little more (see, for example, Michael Almereyda’s 2000 film), but Hamlet has more than proven its richness as a source of artistic inspiration. Of course, the Bard borrowed most of his plots; his audience was likely familiar with the cry “Hamlet, revenge!” before ever seeing Shakespeare’s Ghost on the Globe stage. Revenge tragedies dominated Elizabethan stages and pages, and generic conventions—such as murder, usurpation, and the supernatural—certainly perpetuated the popularity of Shakespeare’s play early on. But as Western culture began to focus more on the individual and interiority, directors still found Hamlet easily adaptable to the zeitgeist. From Germany to Russia to Japan, cultures quite different from Shakespeare’s England have interpreted the Prince of Denmark as a man who speaks and thinks for them as well. The role’s versatility helps explain its universality, and in a way, Shakespeare’s play has become everyone’s. Consider as well Kurosawa has acknowledged his admiration for Shakespeare generally and Hamlet specifically on several occasions—though he never mentioned it as an inspiration for The Bad Sleep Well. So, while we can claim Kurosawa does not, strictly speaking, adapt the play in his film, we can hardly deny he appropriates many of the play’s themes to serve his own story of madness, suicide, and especially, revenge. Laurence Olivier famously introduced his 1948 film adaptation of Hamlet as “the tragedy of a man who could not make up his mind”; Kurosawa’s hero, Nishi, is not that man. Throughout the play, Hamlet wavers between killing his uncle and killing himself, revenge or suicide. Nishi, however, commits to his plan, avenging his father’s coerced suicide, long before the action of the film even begins. The Bad Sleep Well begins with an accusatory wedding cake and ends with an ominous phone call, and in every scene between the two, the film upsets the expectations of any audience who presumes to know how “Kurosawa’s Hamlet” should play out. Parallels to the play abound, but they are so intricately woven into this tightly knit noir that teasing out each strand would prematurely unravel many of the film’s mysteries. Film critic Chuck Stephens calls The Bad Sleep Well a “gray flannel ghost story in which the living haunt the dead,” and so, we may expect uncanny film noir. Shakespearean Kaori Ashizu claims the film is about “the ways in which an extraordinary mixing of feudal and modern attitudes empowers corruption,” and so, we may expect a sociological analysis of postwar Japan. Kurosawa himself said he wanted to expose those who “hide behind the facade of some great organization like a company or a corporation—and consequently no one ever really knows how dreadful they are, what awful things they do.” And so, we may expect fictionalized investigative journalism. And although no one above mentions the play, we can readily read references to Hamlet in each comment. The more we try to think about the film and the play separately, the more we dwell on their relationship. Should we view the film as commenting on the play’s themes or vice versa? The answer, quite clearly, is yes.